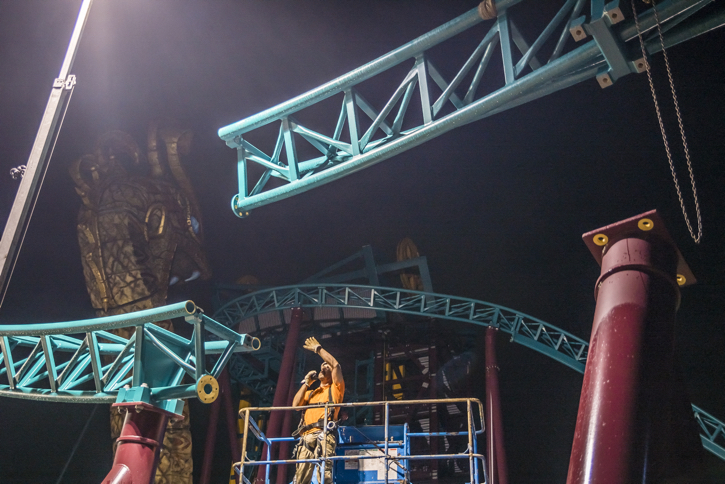 Cobra’s Curse Update: Final Track Piece Installed! I’m always glad to see a park add a family-based attraction, especially one that’s fairly innovative. 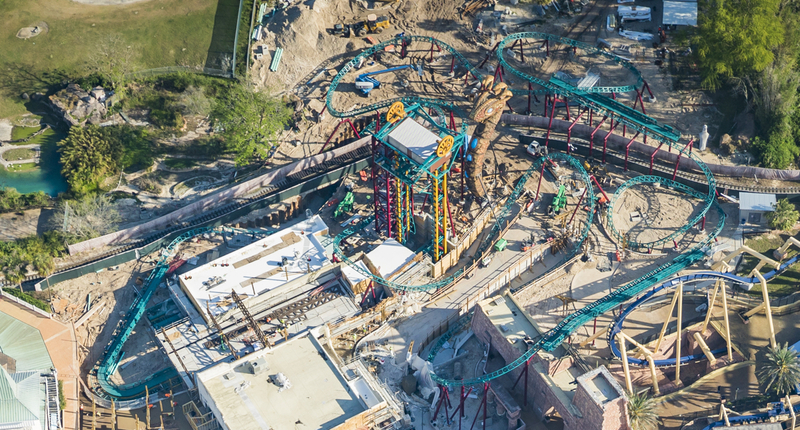 Cobra’s Curse should really draw a lot of attention to Busch Gardens Tampa and add another reason for families to make the trek from Orlando to Tampa. On my last visit to Busch Gardens Tampa, I was blown away by how beautiful that park was and how spectacular the animal encounters were. I can’t wait for my next visit! 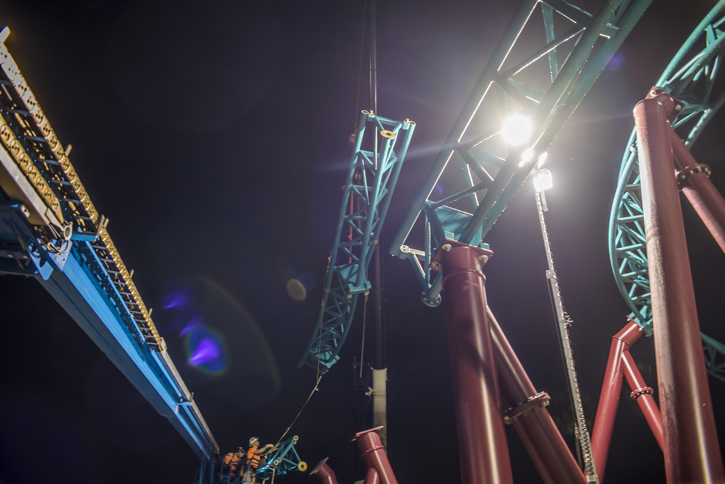 TAMPA, Fla. (March 22, 2016) – The final track piece has been installed for Busch Gardens® Tampa Bay’s most anticipated family thrill attraction, Cobra’s Curse™, scheduled to open this summer. 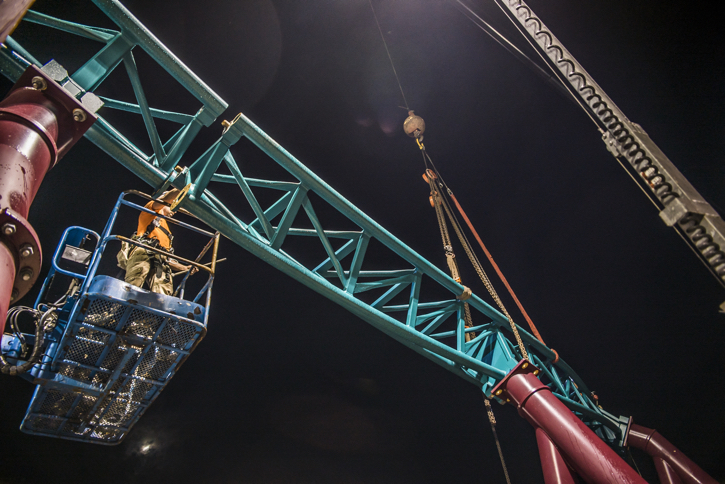 The 4,475-pound track piece was bolted into place on Saturday, March 19, marking the end of track construction and the beginning of the testing phase. The spin coaster will be the only one of its kind in the world, featuring a menacing 30,000-pound snake king icon and a 70-foot vertical lift that will take riders within inches of its 4-foot-long fangs. The three-and-a-half-minute ride will then spin forward, backward and then freely, taking riders on a whirlwind of exciting explorations. Additionally, even before boarding the new ride, guests will be just inches away from a 400-cubic-foot snake exhibit in the queue line which will include Jameson’s mambas, Angolan pythons and rhinoceros and gaboon vipers. This multi-level exhibit reflects the theme of the ride while featuring several animal husbandry and enrichment components designed with the snakes’ welfare in mind, including naturalistic design elements, controlled heat sources and humidity control. Visit CobrasCurse.com to view the first webisode and for more information. Or, be the first to know about new events, special deals and future announcements by following the park’s blog at buschgardenstampablog.com, or “Like” the Busch Gardens Facebook page and follow @buschgardens on Twitter and Instagram. Are you excited about Cobra’s Curse at Busch Gardens Tampa?